Wallpaper is cool again… No, really! This entry was posted in Home Decor, Modern Interiors, Wallpaper and tagged Modern, Modern Interiors on February 16, 2016 by Erin. I’m so amazed by smart people. I mean, don’t get me wrong, I like to consider myself fairy bright. But sometimes I’m truly overwhelmed by what other people can do. 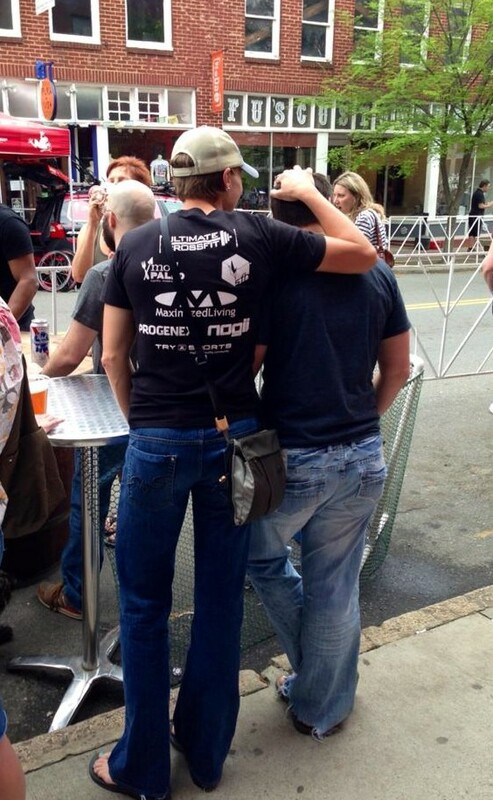 Take these stars, for instance. It would have taken me somewhere in the ballpark of 3 months to figure out the math and the angles to make these stars “work.” Not to mention countless piles of wasted wood as I muddled through one failed attempt after another. Luckily, as I was saying, there are really smart people in the world. 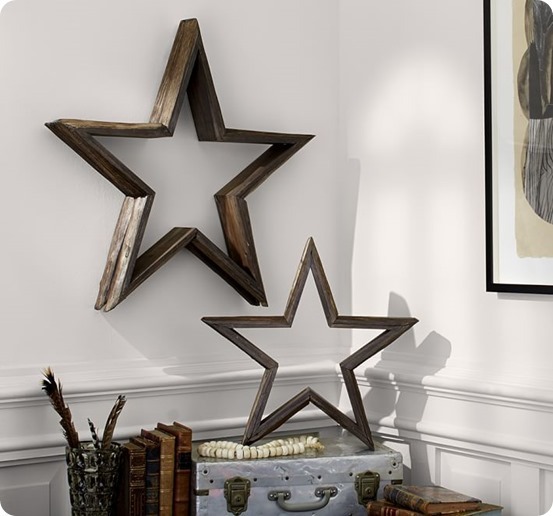 And I wasn’t the first person who saw these wood stars at Pottery Barn and thought, “Wow! Those are hot!” (…and then leaned in to look at the price tag and had a mini heart attack). If you make all your cuts, and attempt to assemble your star but find that it’s just not quite lining up properly… don’t panic! The brad nailer does amazing things. A few of the stars I made, I swore they weren’t going to come out correctly because they weren’t lining up perfectly. But, since I spent so much time making the cuts, I decided to nail them together anyway. And, each and every time, the nail gun pulled them together perfectly and I had great-looking stars! Depending on the type of miter saw you have, you might not need a jig for the 54 degree angle cuts. I have a 12″ Dewalt compound miter saw, and I’m able to set the angle at 54 degrees to make the cuts. I suppose smaller miter saws don’t have angles this large, and you’ll have to make the jig. I used both 1×2’s & 1×3’s for my stars, and they both came out great! The 1×2’s are better for hanging on the wall, and the 1×3’s are better as sit-abouts (IMHO). Lastly, don’t spend a lot of time filling gaps with wood putty and sanding everything perfectly. Some of my favorite stars are the ones I “rushed” through because they turn out looking more distressed and “real” looking. This entry was posted in Hanging wall art, Home Decor, Modern Interiors, Wood and tagged DIY, Hanging Wall Art, Modern, Modern Interiors, Woodworking on October 20, 2015 by Erin.